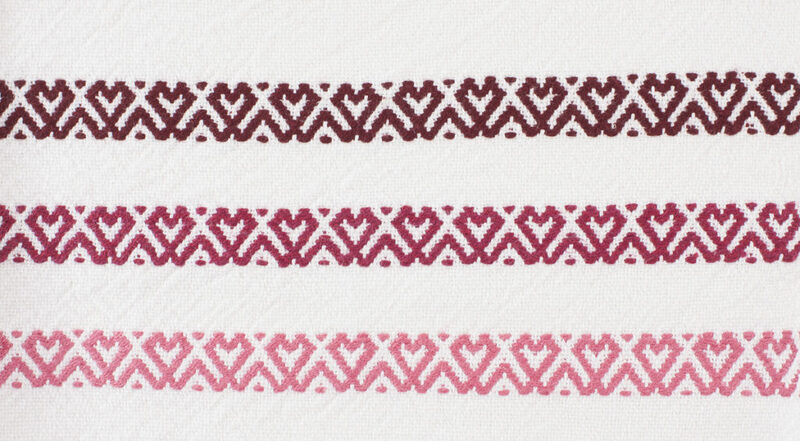 The sweet Baltic heart design on these bands can be woven on either an inkle loom or using a Sunna double-slotted heddle. You can use them as an elegant hanging tab for Susan J. Foulke’s Baltic Hearts Tea Towels featured in the November/December 2014 issue of Handwoven or use them in any other way you see fit from trim for your handwoven fabric to adorable hair bows. Find more projects to love in Handwoven!